The 2017 Edgar Awards will be presented on April 27. That gives you plenty of time to read the five nominees to see which one you think should win. The first nominee is Before the Fall. A private plane takes off from Martha’s Vineyard on a foggy summer night. Ten of the passengers are among the very affluent. The eleventh passenger is a struggling artist. Sixteen minutes into the flight the plane goes down and only two of the eleven passengers survive. One of the survivors is a 4-year-old child, the last member of the powerful and wealthy media mogul’s family that just died on this night, and the other survivor is the painter. As you get to know about the others that perished on that flight, you begin to wonder was it just fate that they were on this particular plane or was there something more sinister happening that night. 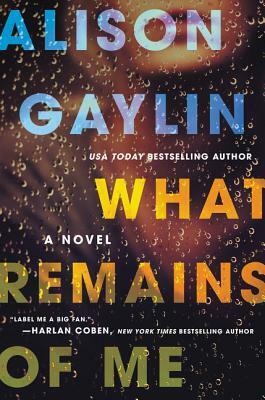 Our next nominee, What Remains of Me, is a psychological thriller. Holly Michelle Lund has served a 30-year sentence for the murder of Oscar- nominated director John McFadden in his home. Five years after Holly has been released from prison, movie legend Sterling Marshall, Kelly’s father-in-law, is found dead in his home. His body found murdered in the same manner as his friend John McFadden and Kelly is once again a prime suspect. However, this time Kelley has someone who believes she was innocent of both crimes and is willing to help her clear her name. What dirty secrets are hidden away all this time? The third nominee, Jane Steele, considered by some to be a retelling of Jane Eyre. 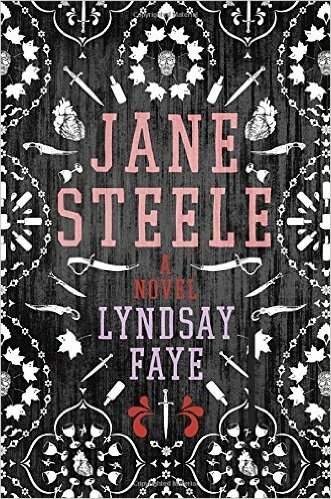 While Jane lives in Victorian England, is an orphan, has gone to a boarding school, and eventually becomes a governess, there is one slight difference- Jane Steele is a heroic serial killer. 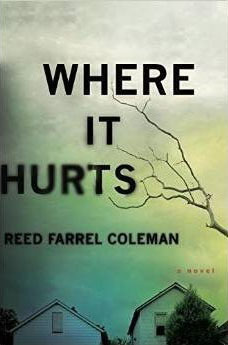 Where It Hurts is our fourth nominee and is the first book in a new series by Reed Farrel Coleman. Gus is like a modern day Job. A retired cop with a great family and a nice house-he has it all. Tragedy hits and his perfect world is shattered to pieces. The shell of this ex-cop is now a far cry from the confident man he once was and he struggles to just get through each day. His life takes a new turn when Tommy Delcamino, a low- level criminal that Gus has arrested several times contacts him. Tommy believes his son was murdered and thought Gus was the only honest cop who would find the killer. Gus nearly dies tracking down the elusive killer but that opens his eyes as to how to live again. 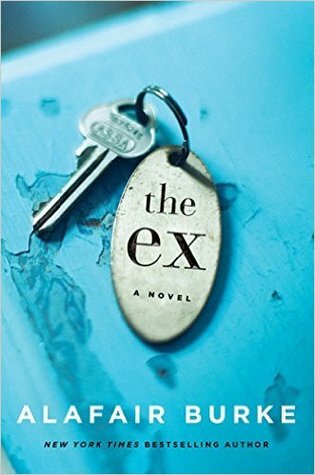 Our final nominee is, The Ex: a novel. Olivia agrees to help an old ex-fiance who has been accused of killing three people in broad daylight. Her ex, Jack Harris, is a widower. His wife had been killed three years ago by a fifteen-year-old and now Jack is charged with killing him and two others. Olivia is a top NYC defense lawyer, she knows Jack and there is no way he could have killed those three and yet, as the evidence mounts, could she be wrong? Is he not the man she thought he was? Let the reading begin! See if you can figure out which deserves the title of Best Mystery. Book covers are courtesy of Monarch. What happens when you condense a book down to its barest essentials? Some of them are eminently recognizable. Others, nearly impossible to pick out. Some ultra-condensed book summaries are below. Here’s an easy one to try: Huck goes rafting. Huck goes home. If you guessed Huckleberry Finn, congratulations! You’re right! Here are some other books to guess at. Once there was a caterpillar who ate holes in stuff and turned into a butterfly. A family’s farm is taken away. They go to California. On the way, there are calamities. The Earth is bulldozed to make an interplanetary bypass, so always have your towel ready. A lonely and cantankerous book store owner on a small island has his world turned upside down by two new ladies in his life. A teddy bear thinks no one will buy him because he’s missing a button. A captured British spy in Vichy France keeps a diary. So does her friend. A 16-year-old boy roams around New York City for a couple of days after getting kicked out of school and shares the details of his inner thoughts about the people and situations he encounters before being sent to a sanatorium. A story of a missing wife turns from mystery to suspense to psychological thriller as the truth comes out about both main characters. The Bachelor and The Hunger Games made a book together. Little rabbit says goodnight to everything. An angel and a demon sabotage the apocalypse. An Australian conservator analyzes an illuminated Jewish text’s history. Two teens with cancer fall in love and go on a trip. Summaries from: Rinkworks Book-a-Minute list, B.A.D. Girls Book Club, and Weyenberg Library staff. At 6:00PM on Thursday, February 9, UW-Madison Professor Mark Louden will visit the library to discuss the lifeways, history, and beliefs of the Amish and similar religious communities.? We hope you’ll join us!? Until then, why not whet your appetite with a few books about Amish life and living? 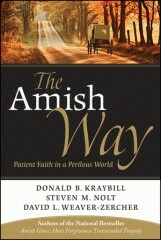 The Amish Way: Patient Faith in a Perilous World highlights Amish spiritual practices.? Authors Donald Kraybill, Steven Nolt, and David Weaver-Zercher discuss how Amish Christianity influences and shapes innumerable aspects of Amish life, from the technologies they use (or don’t) to how they choose their religious leaders.? Drawing on knowledge gleaned while writing their first book, Amish Grace: How Forgiveness Transcended Tragedy, Kraybill, Nolt, and Weaver-Zercher are outsiders to the community, but well-versed in its religious customs. 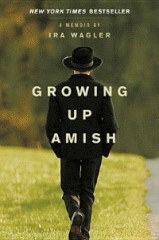 Ira Wagler’s Growing Up Amish: A Memoir is a firsthand look at life among the Amish.? 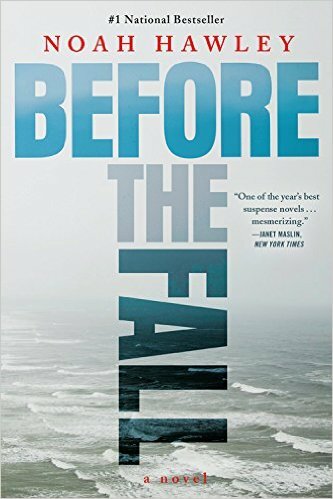 Wagler, who was born into and ultimately left the community, chronicles his childhood in a Canadian Amish settlement and his family’s move to a different settlement in Bloomfield, Iowa.? After that move, Wagler repeatedly left and returned to his family and their traditions, until he finally and permanently broke away from them at age 22.? Growing Up Amish is a close-quarters look at everyday Amish life and the pressures faced by some of its members. 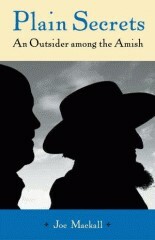 For an outsider’s account of Amish lifeways, look to Plain Secrets: An Outsider Among the Amish.? Plain Secrets focuses on the Swartzenruder Amish, a community based in Ashland County, Ohio.? The book’s author, Joe Mackall, documents the lives of his Amish neighbors, the Shetlers, over the course of three years, highlighting their customs, accomplishments, and struggles. Any one of these books would be a great place to start for facts about Amish life and culture, with or without Professor Louden’s excellent overview.